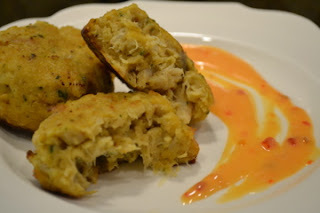 I was standing in the seafood department at my local Publix Supermarket when the gentleman in front of me ordered some Publix, store-made crab cakes. I asked him if he liked them. He raved about the Publix brand, saying they were way better than Phillips brand Maryland-style crab cakes...the ones I usually buy if not preparing my own. Well, that statement was like waving a red cape in front of an irritated bull. Unbeknownst to him, a challenge had been issued... Time for a product comparison! I was delighted to see Phillips' brand on sale. It's the only time I can justify buying them. In our area a package containing two three-ounce crab cakes retail for $8.99. When Publix has them on BOGO, it reduces the price to, (currently) $4.50 a box. That equals out to $12 per pound. Each is appropriate as an appetizer-sized serving. The Publix crab cake mix is shipped in and formed in store. Since they are hand formed, size is random. They retail for $8.99 a pound. The cake I bought for test purposes weighed six ounces. 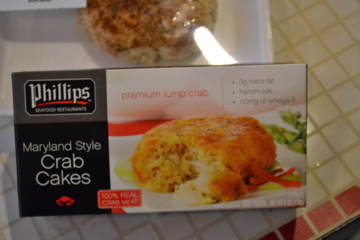 Phillips' crab cakes have jumbo lump in them. They are more crab than filler and hold together without becoming squishy and falling apart. They have a lovely taste, but are less seasoned than the other one. The drier texture needs a dab of sauce. While more expensive than the other brand, the quality is comparable to a one served in a fine restaurant. Publix brand uses mostly claw meat. It has a slight kick to it and I really liked the flavor. 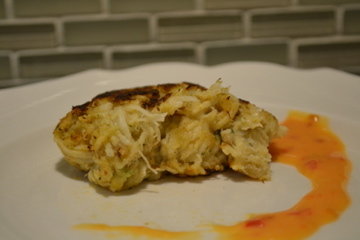 The Publix crab cake was softer and didn't want to hold together. It has a creamy texture and still falls apart after baking. My husband and I agreed that the Publix brand had more filler, less crab, but was flavored very nicely and didn't need the sauce. Conclusion: For me, personally, when Phillips are on sale, which is rarely, I'll most likely pick them. If not and in a hurry, I'd grab a couple of the Publix brand. 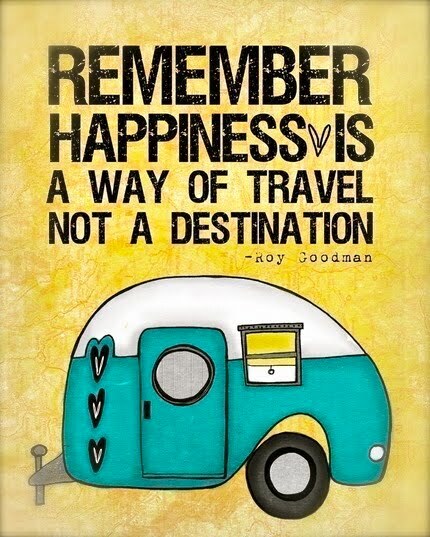 I'm flexible and could be happy with either. 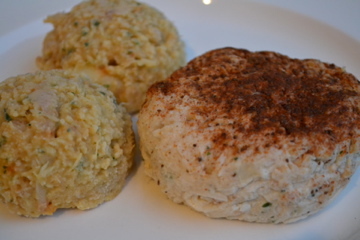 One crabbier, one more flavor... Now, if we could combine the two, we would have the perfect crab cake!! !